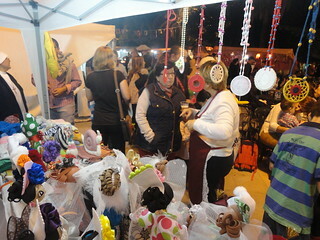 The first weekend of November, one of the Fraternities of Alcalá of Guadaíra organized a medieval festival in the town. Among other activities, they set up a market that was up from Friday noon until Sunday. They were fantastic days with excellent weather and a lot of good people, thank God! The adults of the Home of the Mother put up a kiosk of handcrafts and clothing made of wool to raise money for several poor families of our city and of Ecuador. During the two days that the market lasted, the laity took turns to go eat, rest and go to Mass. They were all very excited to help, especially to help those most in need. They were aware that people without resources are more and more isolated from society because they lack the basic necessities to live, and precisely because of this isolation that they suffer, they have less help. 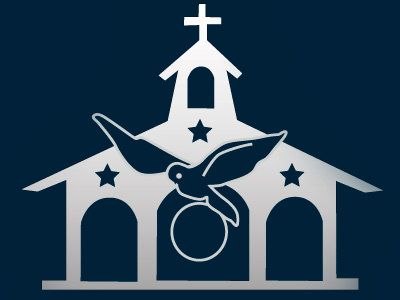 The work that the laity comes up with, of designing things and selling them, is not simply something nice. It is also a prayer addressed to the people, thinking of those who are hidden and forgotten in our environments, in order to help them. The adults of the Home do not stop working!